You are a die-hard 24 fan. You’ve watch every episode – probably multiple times. You’ve followed the story of Jack Bauer through his many difficult days. After Day 8, we thought 24 was done. 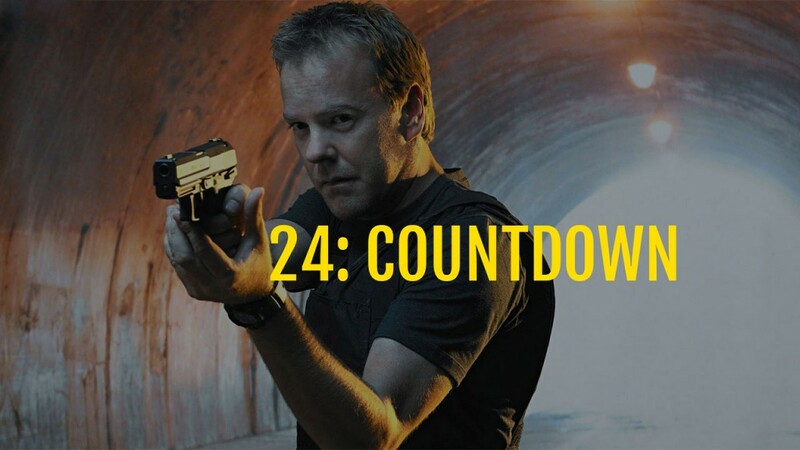 But then in 2014, we got to see 12 episodes of Jack in 24: Live Another Day. It was great to see Jack fighting against terrorists to save the world one more time. In the end, he was taken by the Russians in order to save Chloe. Then everything was in limbo again. This is when our fan fiction project began. A small group started devising ideas for a plot. This became 24: Countdown. The first episode was published in January 2015. The last episode was published just before Thanksgiving. More than 70,000 words in 12 different posts. You can now read it via the new PDF version! You can get the PDF version for free by entering your e-mail address below. You’ll first be sent a confirmation e-mail, then you’ll be given the link to the download. You’ll also be added to the mailing list so that you can be notified when new posts are made available – because we do plan on writing more 24 fan fiction. Because we are 24 Faithful. GET YOUR PDF OF 24: COUNTDOWN!